The Trump administration called for tariffs on $50 billion in Chinese goods, escalating already rising trade tensions with China. President Trump directed the office of the U.S. Trade Representative to outline a set of tariffs targeting at least $50 billion in goods from China, with a focus on tech-related goods. Chinese tech stocks took a beating following the announcement, with Alibaba (BABA) and Baidu (BIDU) shares falling 5.4% and 5.6%, respectively. The Chinese government promptly fired back, announcing it planned on levying tariffs on $3 billion in U.S. imports, particularly targeting U.S. farmers. China’s relatively subdued response drew sharp internal criticism, and government officials are under pressure to impose tariffs on U.S. soybeans, aircraft, and cars, since China is the world’s largest market for U.S. soybeans and aircraft, and the second largest market for U.S. cars. U.S. Trade Representative Robert Lighthizer announced that the EU, Australia, Argentina, Brazil, and South Korea would receive exemptions to the new steel and aluminum tariffs. Although Trump administration officials had previously said that no exemptions to the tariffs would be granted to anyone, allies or adversaries, the latest move indicates that the administration is more focused on directing its trade actions towards China. The countries join Canada and Mexico as the only countries to receive temporary reprieves from the new set of tariffs. Notably, the administration did not grant an exemption to Japan, a longtime U.S. ally and large steel exporter. With much of the bite of the tariffs taken away by the exemptions, U.S. steel stocks slumped, with shares of U.S. Steel (X) falling 11% after the exemptions announcement. Facebook continued to reel amidst news that the company improperly allowed access to user data to the political consulting firm Cambridge Analytica. Shares of the tech giant (FB) fell almost 14% last week as the company struggled to respond to New York Times report on March 17th that revealed that Cambridge Analytica had secretly captured data on 50 million people through Facebook. Using a quiz app on the social media platform, the firm exploited a loophole in Facebook’s API, allowing them to collect data not just on those who took the quiz, but also their friends. CEO Mark Zuckerberg finally responded to the scandal after several days of silence, coming only after politicians in the U.S. and the U.K. called on him to testify, the #DeleteFacebook campaign gained public traction and Mozilla decided to stop advertising on the platform. The Dow Theory market sentiment indicator moved closer to flipping from bullish to bearish. The Dow Theory is a metric that gauges the overall direction of the market using technical analysis of trends, and has consistently outperformed the market. One study from the 1990’s found that the theory outperformed the broader market (i.e., “buy and hold”) on average by 4.4% per year, making it a strong indicator of when to buy and sell stocks. While the theory is still pointing to an upward-trending market, if the Dow Transports (DJT) closes 27 points lower in the near future, the metric would flip from bullish to bearish (i.e., issue a “sell” signal). Because the theory is so widely followed, a drop in the DJT could lead to an avalanche of selling. Online file hosting service Dropbox (DBX) went public last week and its shares soared in their first day of trading. After opening on Friday at $21 a share, Dropbox’s stock closed up over 35% at $28.42 in spite of overall weakness in the market, making it the largest tech IPO since Snapchat’s IPO last year. However, the company still faces significant challenges ahead, including the falling cost of online storage, increasing competition from Google Drive and Box, and the need to continue converting free users to paying subscribers. Major U.S. benchmarks had their worst week in over two years. 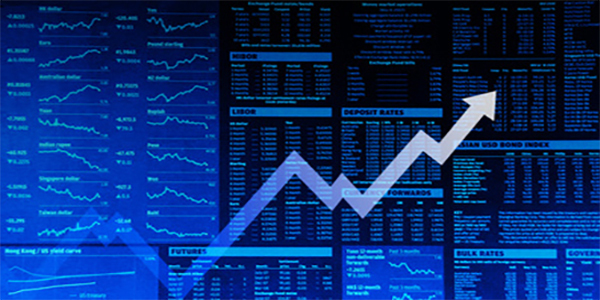 The Dow Jones Industrial Average (DJIA) finished down 5.7% for the week, the Nasdaq Composite (COMP) closed down 6.5%, and the S&P 500 (SPX) finished down 5.9%. European benchmarks didn’t fare much better. The UK’s FTSE 100 Index (FTSE) finished down 3.4%, hitting its lowest close since December 2016, and the German DAX Index (DAX) closed down 4.1%. Asian markets mirrored the decline in the U.S. and Europe. Japan’s Nikkei 225 finished down 5.5%. India’s BSE Sensex finished down 1.9% and Hong Kong’s Hang Seng closed down 1.0%. China’s efforts to stem a trade war will likely prove futile. While Washington seems set to go down the trade war path, Beijing seems far less inclined to do so. Vice Premier Han Zheng, a top official in the Chinese government, told global business leaders that, “A trade war serves the interests of none.” This sharply contrasts President Trump’s comments on the matter, who said earlier this month that trade wars are “easy to win.” However, with the administration planning on enacting tariffs targeting a significant chunk of Chinese imports, many within the Chinese government, as well as Chinese citizens, have criticized their government’s minute response. Ocean University Professor Pang Zhongying labelled the Chinese response as “not commensurate” with the U.S.’s actions, and many users on Weibo, China’s version of Twitter, have urged the government to react more strongly. So far, the Trump administration has shown no signs of backing down, in spite of the fact that China has a significant amount of leverage over the U.S. when it comes to trade. Not only is China one of the largest buyers of American crops (half of all U.S. soybean exports go to China) but China is also the largest holder of U.S. debt in the world, meaning they could dump U.S. debt to raise the cost of borrowing for the Treasury. The last time the U.S. tried raising tariffs – a 30% import duty on steel in 2002 – it took the loss of 200,000 U.S. jobs and pressure from the WTO before the Bush administration backed down after 20 months. However, the Trump administration may circumvent this issue by simply leaving the WTO, considering his penchant for criticizing supranational organizations. Regardless, towing the free trade line will likely prove an impossible task for China if Trump doesn’t back down. The Trump administration will have to reckon with America’s own “unfair” trade practices. While Trump has lambasted other countries for “taking advantage of us,” he seems to have forgotten about a group that has significantly benefited from “unfair” free trade: farmers. Every year, the farm bill authorizes $20 billion in subsidies to American farmers. These subsidies incentivize agricultural dumping, whereby U.S. farmers are able to overproduce crops and drive the price of those crops lower. While their own incomes are, to an extent, protected by the farm bill, farmers in countries with free trade agreements with the U.S., particularly those in Latin America, are devastated due to lower crop prices. This is similar to the Chinese steel dumping that President Trump has so vehemently criticized. Up until this point, U.S. has managed to carve out exceptions for these subsidies in NAFTA, CAFTA, and PNTR with China. The result is that American farmers have greatly benefited from free trade, gaining access to foreign markets with the financial backing of the U.S. government. This is why many in China are calling for their government to impose tariffs on American agricultural products. Half of U.S. soybean exports go to China, and China is a huge market for sorghum, pork, and other agricultural products made in the U.S. Given that there are over 300,000 American soybean farmers alone, if tensions over trade continue to escalate with China, farmers may be the first ones to be hit hard. Considering farmers make up a core constituency for the President, if things continue to go the way they’re going, he may end up turning off a significant group of his supporters. Facebook’s woes may not be over anytime soon. It seems that nothing can go right for the social media giant these days. Just last year, a number of studies linked the platform to diminished emotional wellbeing in young people, and the company itself acknowledged in December that social media use could be bad for users’ mental health. That same month, it came out that former Facebook executive Chamath Palihapitiya expressed regret over working at the company, saying it was “ripping apart the social fabric of how society works.” Even Facebook’s founding president Sean Parker ripped the company, saying “God only knows what it’s doing to our children’s brains.” Facebook has also been criticized by newspapers and other news outlets, as the company’s business model threatens to destroy the way these outlets make money (it’s why ad revenue for newspapers has plummeted over the past decade). While Facebook has weathered the storm thus far, the Cambridge Analytica scandal may have been the straw that broke the camel’s back. One analyst at TheStreet.com claimed that the stock could fall as much as 50% before it starts to rebound. If weak market conditions persist, the stock could continue to plunge even if it gets through this scandal unscathed. However, getting through the current situation unscathed may not even be in the realm of possibility. A number of people have begun to call for increased regulation of Facebook, and many have drawn parallels with Microsoft’s ordeal with the federal government in the 1990’s, which left the company as a shell of itself for years. As a result, investors may want to stay away from Facebook for the foreseeable future.